If a product gets delayed twice and has its original selling price raised by $2000 you might expect it to be a flop, especially when many in the industry claim nobody wants one. 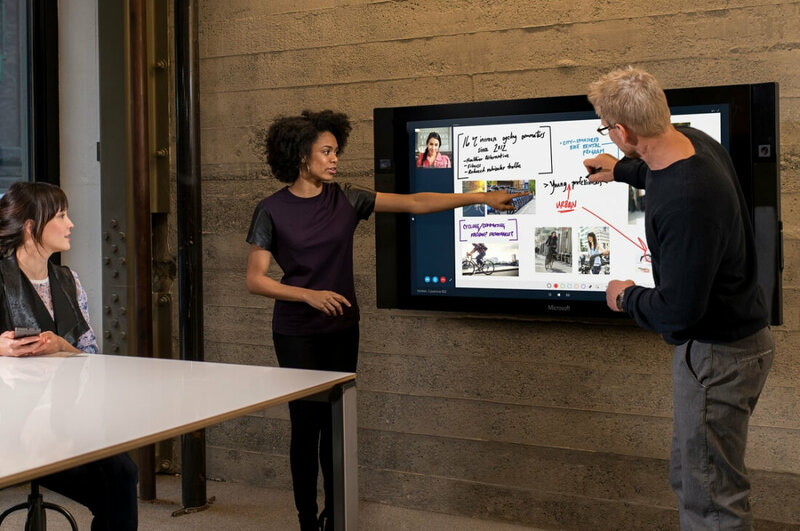 But it seems that Microsoft’s giant Surface Hub is proving the critics wrong. Sales of the Surface Hub have exceeded the Redmond company's expectations, after being purchased by more than 500 customers worldwide to date. That may not sound like a lot, but with the 55-inch version costing $8999 and the 84-inch Hub priced at $21,999, these enterprise-aimed products were never going to sell in their millions. The enormous wall-mounted tablets, first announced back in January 2015, were originally meant to ship in September that year but Microsoft pushed the release date to January 2016. In December, however, the firm announced that not only were the Hubs being delayed for a second time, but the prices for both models were also being increased by $2000. Luckily for Microsoft, it seems that buyers, most of which are likely to be large businesses, haven’t been put off by the delays and price jumps. Orders are continuing to come in for the Hubs, and as a result production is being ramped up. Both Surface Hub models come with Haswell processors; a Core i5 in the 55-inch and an i7 in the larger version, which has a 3840 x 2160 resolution. Intel’s HD 4600 (in the smaller Hub) and Nvidia’s Quadro K2200 provide the graphics. They come with 128GB SSD storage, 8GB RAM, four and six USB ports (two of which are USB 3.0), 100 points of touch input, Bluetooth 4.0, 802.11n Wi-Fi, NFC, and gigabit ethernet. You even get digital pens (which are said to be excellent), a dual webcam, and noise-cancelling microphones. It now looks as if anyone who wants a Surface Hub will have to spend some time on a waiting list, such is their popularity.